Production possibilities of Valenta ZT s.r.o. - Valenta ZT s.r.o. 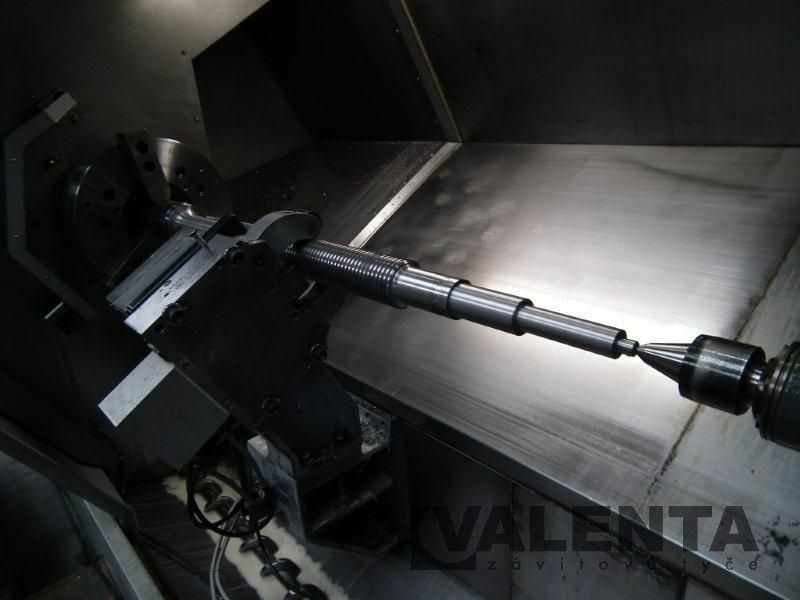 Production possibilities of Valenta ZT s.r.o. 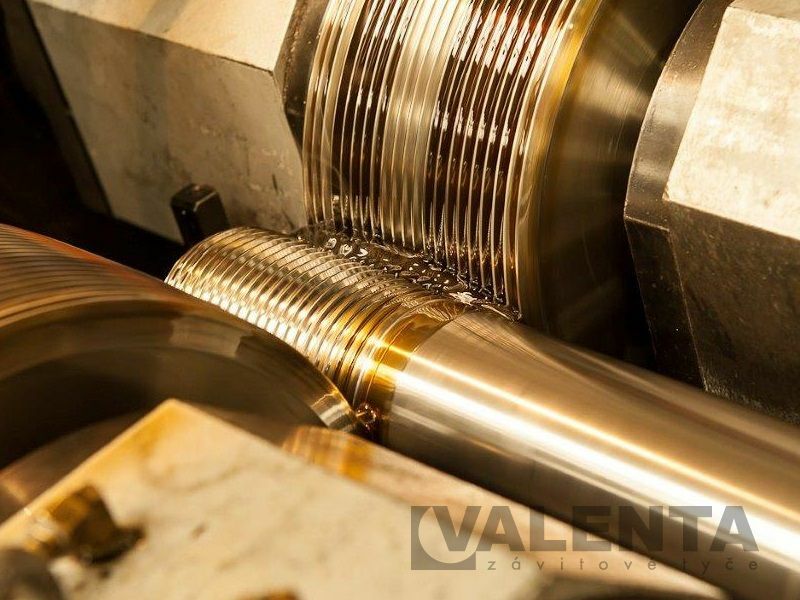 Thread rolling is the cold forming of the surface area of circular cross-section components . 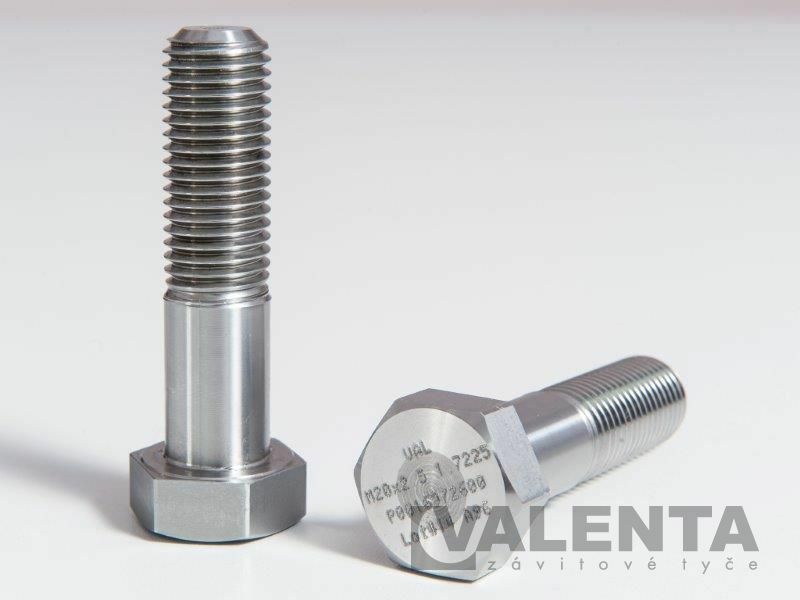 The thread is created by means of the forming of the workpiece under the enormous force application of two rotating rolling tools, between which the component is placed. 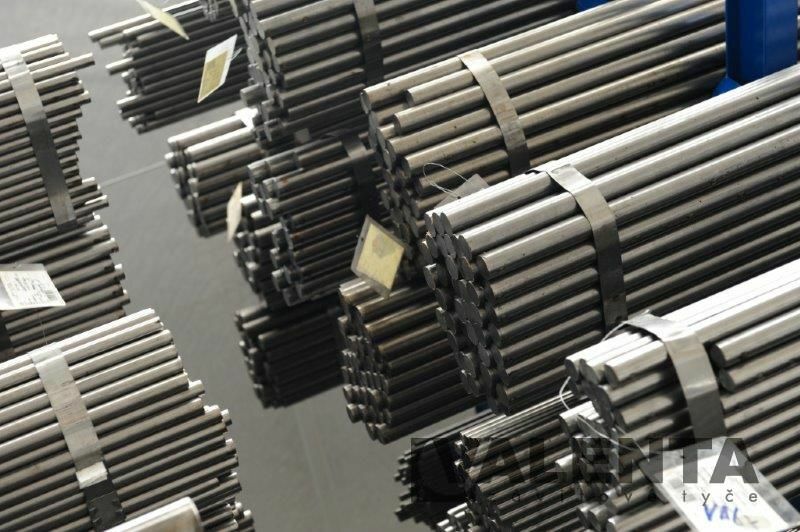 By the penetration of the section of the rolling tool into the surface of the workpiece, the material is cold-pressed up to the base of the thread rolling tool and rolled to the nominal dimension. Brittle materials such as Ms58, grey cast iron etc. We own several working machines, which enable us to adapt flexibly to your requirements. Machining of nuts, washers etc. We have our own U-bolt bending equipment. Cold and hot bending of various materials, dimensions and lengths. Possibility to bend also larger diameters and lengths. Upon your request we can mark all products from a custom production series with a text specified by you. The possibilities and limiting factors are determined by the type of the selected material, class, dimensions of the part, quantity etc. 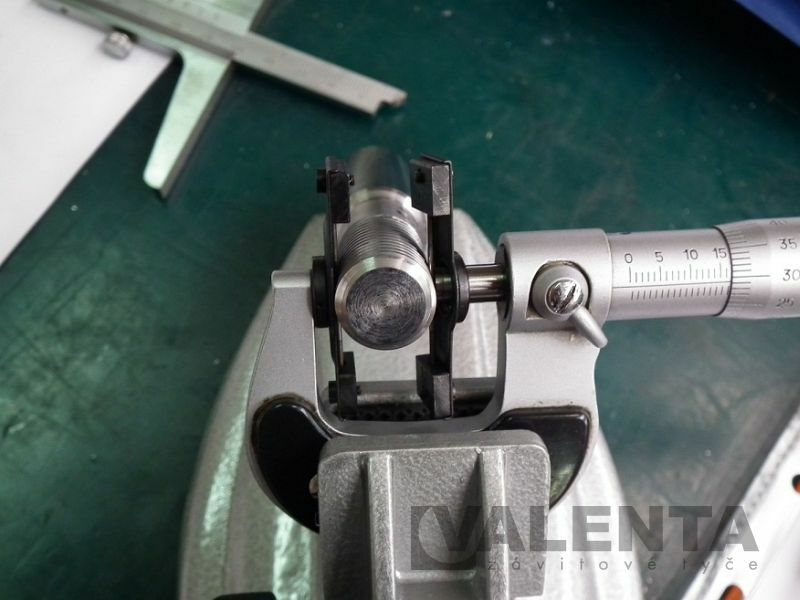 Three-wire method of thread measuring - for the verification of the thread mean diameter. Set of contacts and micrometer calliper gauges for threads for the quick check of correctness of the thread mean diameter. For requests and technical queries please contact us in the REQUEST section or by phone – we will be glad to help you.